I’m not sure I need to explain the reason for this post but somehow I feel I should. I get some of my sports news from CNNSI (Sports Illustrated) and they have a daily feature called Extra Mustard where they spotlight a Lovely Lady of they day. There are some good articles too! Really. Anyway, I rarely (ok sometimes, well often) do a quick search of the woman in question to see different images. On Thursday April 29, 2013, the woman of choice was Jenna Renee. She is a fitness model and is obviously extremely dedicated to staying fit and must work extremely hard. That’s a credit to her resolve and will. What I’m going to say next doesn’t really have that much to do with her but with something I’ve increasingly noticed, something I call the Pamela Anderson effect. Women who are naturally quite lovely takes measures to increasingly enhance themselves in ways I find makes them less appealing. Photographic trickery tries to make them more beautiful but has the opposite effect. It’s entirely possible my standards of beauty are out of whack with everyone else but I wanted to take a quick, very informal poll on what you think. I’m going to post two pictures of Jenna that I think reflect her transformation from someone I found to be stunning to something, certainly not grotesque, but artificial. I’d like you to pick picture A or picture B. If you want to make a comment then please do so as well! There was a story this morning on Yahoo about how Congress was pushing purchases for more of the United State’s main battle tank, the M1 Abrams. When I got back from the gym today I had a difficult time finding the story which means it didn’t garner much interest from the clicking audience. The reason: Republicans have no trouble with wasteful spending if it is on the military. Democrats have no trouble with wasteful spending. The tank’s service life is winding down and the Army Chief of Staff and others do not want to spend any more money on upgrades or new tanks. They are on record as saying they have enough, they want to spend money elsewhere. 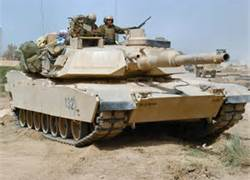 Can you guess why Congress is quickly moving to force the army to spend $437 million on new tanks? Crony Capitalism of course. The tanks are built primarily in Ohio but in other places around the country as well. If that production stops then jobs are lost. I’m not particularly mad at Congressman Jim Jordan who represents the district where the tanks are built. It’s his job to do the best he can for his district. It’s all the other Congressmen who support this that rouse my ire although I expect nothing less. Crony Capitalism has the word capitalism in it but it is the furthest thing from true capitalism you can imagine. It is simply the government picking which business they want to survive and funding it. It doesn’t matter that this happens to be defense related; it’s just that nearly half a billion dollars is a good amount of money and draws the eye. This isn’t an isolated case. This sort of behavior is extremely dangerous to our freedom. The reason this is so dangerous to our nation is because the very heart of capitalism is that well-run businesses succeed while poorly run businesses fail. A company that makes a product that no one wants must fail. If it does not the nature of capitalism is undermined. Men and women who strive to succeed and build a strong company, employ good workers at a fair wage, contribute to their community, and otherwise further the ends of the people must be allowed to succeed. When people like that see others who do not run good companies succeed, at their expense, they stop trying. That’s one of the central messages of Ayn Rand’s Atlas Shrugged and the Fountainhead. We’ve seen time and time again that moneyed interests bribe our politician into rewarding failure. Each time we do this we encourage someone else to fail and discourage those who want to succeed. Failure must be allowed just as success must be rewarded, otherwise capitalism is undermined. The real point of my post today is that the government far too often is the final decider in the success or failure of a business. Congress has decided, against the will of men and women in charge of the army, that a bunch of businesses in Ohio and other places will not fail. Congress alone has made that decision, not the market. We are the worse for that decision and many others just like it. This Congressional intervention, this Crony Capitalism, subverts the system so badly that good businesses are destroyed while bad ones thrive. Today, the best way to succeed is to contribute to Congressional elections and running a business properly is less important. The year after year repercussion of this is inferior products made by inferior people. That’s not how the United States became the greatest country in the world and it is in no small way the explanation of our recent decline. P.S. I just returned from Atlanta, Georgia from my sister’s wedding. To the people of Atlanta: Your road signage is outstanding. Well marked, large, visible, repeated regularly. Excellent job. A big tip of the hat from this St. Louis Cardinal’s fan. Here’s a story that makes me want to weep. It’s all bad. Lance Armstrong is being sued by the government over money the Postal Service gave him, his teammates, and his team during the period between 1998 and 2004. For this financial boon the team was called the U.S. Postal Team during the Tour de France. 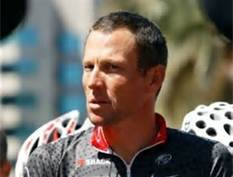 Armstrong won the race every year from 1999 to 2004 although these victories have now been voided after he admitted to using Performance Enhancing Drugs (PEDs). The government claims it did not receive the value of the services for which it bargained. The idea of advertising is that a business spends money to promote their goods and sees an increase in sales. Golly, let me try to pick a place to start my rant. It’s not easy. Lance? Lance’s teammates? The government lawyers? The Postal Service? I’m no fan of Armstrong. Not because he cheated, they all did, but because of the way he ruthlessly bullied and hurt people to keep his secret. His teammates rode along in silence saying nothing until the gravy train came to a halt and only then did they come flying out eager to tell stories. The Postal Service paid $40 million dollars to a cycling team to advertise? What were they advertising? The Post Office isn’t trying to make a profit. They provide a service to citizens. If people want stamps they buy them. The money goes to pay for this service. The Post Office shouldn’t be competing with any private business. They should never advertise. Meanwhile the lawyers who thought this one up can’t possibly think that the publicity for the then heroic Armstrong wasn’t value for the investment. It most certainly was as documented by their own records. I don’t want to get too deeply into the Post Office but it’s the perfect example of a working tax. People purchase stamps to mail letters and packages. Those letters and packages are delivered by the government. The tax directly supports the service for which it is paid. That’s the way all taxes should be. But, I digress. Armstrong is not a nice man but he delivered precisely on the investment the Post Office made in him. He won races, he garnered publicity, he wore their colors, and undoubtedly promoted their services. What’s the issue? He cheated and was caught later? They haven’t paid him since 2004. He revealed his lies in 2012. What are the possible damages? If it turns out my old girlfriend, still love her, great woman, didn’t really like me can I sue to recoup the dinners I bought? I had fun at those dinners. I enjoyed her company. What if my kitties were just pretending all those years to enjoy the snuggling? Can I sue to get the money I spent on food and vet care back? As a baseball fan can I sue to get back the money I spent (ok, my mother the season ticket holder spent) on all those years Mark McGuire was hitting home runs for the Birds on the Bat? Did I retroactively not enjoy the games? This is not only ridiculous but it sets and awful legal precedent. Now, if Armstrong had failed to try during those years, if he had taken the money and not put forward the effort to win, then a lawsuit makes sense. Then the government didn’t get its money’s worth. I don’t even think this is a money grab. This is someone trying to capitalize on the unpopularity of Armstrong to bolster their own image. Golly, you go Post Office, get that bad man. No winners here, nothing to see, please return to your lives. I wrote about this issue back in August of last year but I want to talk about it again. 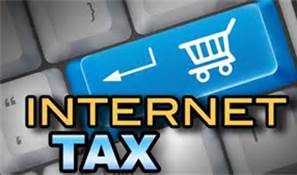 The legislation to put a sales tax on goods you purchase via the internet is moving forward quickly and there doesn’t seem to be a great deal of opposition to the idea. I don’t want to cover the same topics I wrote about last August so I’ll review them quickly and then discuss why this sales tax is not just an example of a money grab but also a real danger to our nation. A traditional brick and mortar store requires infrastructure that an internet store does not. Roads to deliver shoppers, electricity, plumbing, parking, gas, and maintenance on all those things. The government pays for this and therefore a tax is placed on sales in those stores. This is fair and reasonable. If a company has a warehouse in a state where the sale is made then taxes apply although this should be somewhat reduced as the need for infrastructure is somewhat lessened at a warehouse as opposed to a traditional store. Fewer employees, smaller parking lots, less traffic, etc. The main argument for the internet tax is that brick and mortar stores are at an unfair disadvantage because existing taxes increase the price of their goods. This is, as I discussed in my earlier post, not an unfair disadvantage, it is a completely fair and normal disadvantage. Internet stores have less overhead and they cost the government of that state less in infrastructure costs. This is a perfect example of capitalism. They have a better business model. The goal of a government is not to make the field perfectly fair for everyone. Did we put a huge tax on cars to protect the horse industry? That’s what I want to talk about today in this follow-up post. What the federal government proposes to do undermines not only fair business practices but jeopardizes the growth of our country. My example of cars replacing horses seems ridiculous at face value. Cars contributed significantly to the growth of the United States and the world. They were better than horses in many ways. Not to say that they are perfect, pollution, accidents, etc. Still, I’m quite comfortable saying an effort by the government to stop the progress of cars, trains, and planes, would have left this country far in arrears of other countries who were taking advantage of the technology. Maybe I’m being an alarmist to suggest that manipulating prices to encourage people to shop in stores rather than take advantage of internet sales is as much a danger to our country as would have been banning cars; but who can say what the future holds? Internet sales offer many advantages. Fewer trips to the store, less pollution, fewer roads, fewer accidents, less law-enforcement, less emergency service, more parks, more people working from home. These are tangible economic, health, and social benefits. This is an example of government meddling that will end up doing far more harm than the perceived good it attempts to achieve. When the rest of the world sees the benefits and the United States does not; where does this lead? If there are fewer brick and mortar stores and less traffic the government gets smaller. Thus our taxes should decrease! Let capitalism do its job. If internet sales are cheaper, more convenient, and better for society then they should win. Brick and mortar stores should vanish. The government shouldn’t have a vested interest in one or the other. That’s what this tax represents. The government taking sides to artificially alter the market. That’s never going to be good for the citizens of this nation. I haven’t written a post about the despicable attack during the Boston Marathon. I honestly don’t think I have anything to add to the conversation but there is an interesting situation arising from that attack that has sparked my desire to speak out. 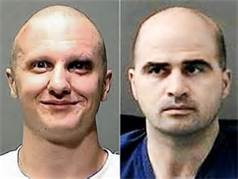 As most people already know brave law enforcement officers captured one of the two bombers. I can’t bring myself to write “suspects”. They did it. We all know they did it. At the time of the capture the man was unconscious or nearly so and was not read his Miranda Warning. There was some outcry about this although I assumed that it wasn’t given because the bomber was not capable of understanding and, if he recovered, they would proceed with the reading. Apparently I was wrong, or at least the Obama administrations is indicating that I was mistaken. They do not plan on reading said warning because of an exception to the Miranda rule. The 1984 Supreme Court case leading to the exception can be found here but I’ll quickly summarize. A police officer captured a suspect who had been identified as having a firearm. When searched the weapon wasn’t found. The officer asked the suspect about the location of the gun. The suspect pointed out, with a head nod, where he had thrown the pistol. This was deemed to be a possible violation of his rights as the Miranda Warning was not yet read. The Supreme Court ruled 6 -3 that immediate public safety, the loaded weapon very nearby, was a “narrow” exception to Miranda. Chief Justice Rehnquist authored the opinion and was joined by Burger, White, Blackmun, and Powell, while O’Connor wrote a concurrent opinion and Marshal, Brennan, and Stevens dissented. The basic idea of the Miranda Warning is an extension of our Fifth Amendment rights against self-incrimination and the Sixth Amendment right to counsel. It cannot be assumed that all citizens have a full understanding of their rights and thus arresting officers are required to give them this brief sketch. The Obama administration is arguing that the bomber might have information about other bombs and therefore the public safety exception can be invoked. Presumably they would ask about other bombs and then read the Miranda Warning. I’m extremely skeptical of this logic. Even if we take the Obama administration at face value all they can ask about is other bomb locations not anything else to do with the case. Otherwise it is a clear violation. This is not a police officer asking a quick question at the spur of the moment. This would be days later when the situation had calmed considerably. By this logic any suspect who may be construed to have planted an explosive device falls into the exception. A suspect who made a threat against a spouse might have planted a car-bomb, who knows? I can see the exception being expanded virtually without limit. There is, I suppose, a possibility that there might be more bombs but the idea that reading the warning would influence whether the bomber admitted their location or not seems far-fetched. If he is remorseful he will give their location whether read the warning or not and vice-versa. In my opinion this is one of those situation where it is important to uphold the constitution and the court’s interpretation of it. It’s easy to demand rights for people who deserve them. It’s harder to want the constitution to apply to scum like the bomber. It’s easy to want to put a gun to his head and finish this business. I know that’s what I want to do. That’s exactly what they would do in totalitarian countries, in theocratic countries, in nations where a free population is something be feared by the ruling party. It’s not what we do here, and I’m proud of that fact. We’re free for a reason, it’s called the Constitution. Let’s keep following it. There was a small story in the space section of the science category of NBC News the other day and it caught my attention. I thought about it and then came back to write this post and had to search long and hard before finding it again, it was buried deep. This generally means it didn’t garner much interest in the news community. Well, I noticed. 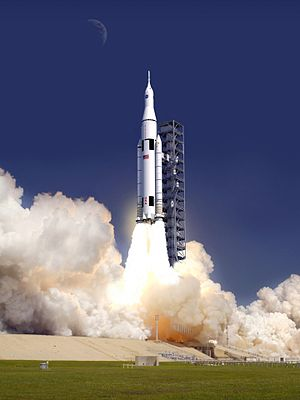 SLS stands for Space Launch System and it is a large rocket that will likely be used for the manned mission to Mars and other programs that will require a big launch vehicle. Ahead of schedule and on budget. I’ll repeat, ahead of schedule and on budget. How did this happen? Let’s find out! Before I start I’m going to have to give a small disclaimer. Boeing has a major presence here in St. Louis and some of my best friends work as engineers there. I’m proud of Boeing and my friends although I don’t think any of them work on this project. The story starts back in January of 2004 when President Bush announced the Vision for Space Exploration. Part of this plan was something called Project Constellation which included the Orion Mars Mission. President Bush vaguely outlined a series of lofty goals for the programs in question. Plans were started, studies were made, money was spent, lots of money. Eventually it was largely cancelled after limited progress was made because of the vague goals and reliance on unsolved technical and design challenges. The plans largely called for technology that someone hoped that someone else would figure out. This is important. I’m not saying President Bush was wrong to dream big. Dreaming big is a good thing. However, it is vitally important to understand that you don’t achieve your dreams by dreaming more. You achieve your dreams by making a practical analysis of the obstacles and coming up with real solutions. The Bush administration failed this test badly. I think this is symptomatic of possibly the largest problem we face in the United States. Somewhere along the line the lesson has become Dream Big and don’t worry about the small stuff. Well, the small stuff is what makes the boom. Dreams won’t come true if you don’t make a realistic analysis of the steps necessary to achieve them. I’m reminded of the likely apocryphal story of the World War II era German engineers sent to the Eastern Front to quiz the tank commanders on what they wanted in a tank. In the story a commander takes the engineers out back and shows them a Russian T-34, ‘that’, he says. The engineers scoff saying they can do much better. While almost certainly not a true story the moral applies. We too often ask for a weapon system that relies on technology that does not yet exist. This leads to huge delays, cost overruns, and out-right cancellations. Look up the F-35 and VH-71 Kestrel as examples. All right, enough of failure. Why is the SLS doing so well? Here’s why. It was designed using existing technology with upgrade “block” versions that will be able to lift increasingly heavy loads. This is important. They decided to start with something they knew could be done and, as progress was made, scale it up for larger payloads. No dreams there. Existing technology and know-how. A realistic plan. Goals analyzed and obstacles understood. Too many projects are built on dreams and that’s a problem. I see it everywhere and I’d bet that many of my readers out there have a story or two to tell about some great idea that consumed time, money, and effort but failed because people didn’t make a practical plan. Now, there are critics of SLS because it uses Space Shuttle technology and for several other reasons as well. There is a long way to go before we see if the SLS delivers on its promise or not. The reality is that right now the project is ahead of schedule and on budget. That’s a good thing. Hooray Boeing! On Saturday night a fellow by the name of Kobe Bryant likely tore his Achilles tendon and will miss the remainder of the NBA season, including the playoffs, and it might mean the end of his long career. Early in the morning, unable to sleep, on pain-killers, he made a lengthy post on his Facebook page which is getting some notice. I’m not a Lakers fan although I’ve admired Bryant as a basketball player for many years. I tend to root against the Lakers and Kobe has made some mistakes in his life, as have we all. When I read his “rant” I was immediately struck by the heartfelt honesty that comes starkly through. I’m not sure if he’s going to face abuse for a few misspellings and some raw words or praise for the post but I wanted my opinion on record before the world judges. It was a great post. Kobe told us exactly what he was thinking. Maybe it was the drugs that allowed him to be brutally honest rather than guard his emotions but, either way, this post places directly in front of us a glimpse of what it takes to be a champion. For those of you who are not sports fans I’ll go over Kobe’s career quickly. 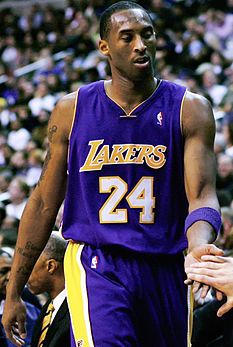 Kobe went to the NBA directly from high-school and faced much criticism for skipping college. He was a good student with a 1000+ SAT score and had his pick of colleges clamoring to give him a scholarship. He was drafted by the Lakers in a trade with Charlotte and at seventeen had to have his parents co-sign his contract. In his seventeen year career he has so far won five NBA championships and garnered a lot of critical attention for his desire to be the star player alienating Shaquille O’Neal and, for a time, his coach Phil Jackson. There were also some personal life issues with marital infidelity and a sexual assault charge. Suffice it to say there are those who don’t like him. In Bryant’s post he shows remarkable courage and self-awareness in admitting that at 35 this injury might end his career and how frustrating that thought is to him. He wonders aloud how he will continue his basketball career. He recognizes that it is early in the morning, that he is on pain-killers, that perhaps he will face rehabilitation with a better attitude in the morning. He mentions that he will have to act as a coach for the remainder of the season and expresses confidence in his teammates to battle and win in the end. He recognizes that his post is raw and filled with emotion and might garner criticism but reflects that he just wants to be honest with his fans via social media. His misspells a word or two but largely does better than a certain sober and well-rested blogger and author who shall remain nameless. An amazing post. An amazing fellow. He’s has flaws, sure, so what. Mr. Bryant, thank you for an honest glimpse into your life, into your thoughts. I wish I had as much courage. I wish our politicians, our leaders could display such honesty. If we could all honestly share our fears without being attacked for weakness, for admitting fear, perhaps the world would be a better place. One of my Facebook friends mentioned the Lindsay Lohan appearance on the David Letterman show and I paid only passing attention to the event. I’ve been thinking more about it over the last day or so and thought I’d write a post on the subject. Lohan has made a series of bad decisions in her life that have led her to the trouble she currently faces. In the end we are responsible for our own decisions and to that point my thinking would be that if she doesn’t like where she finds herself in life that she has no one to blame but herself. This is, I’m fairly certain, true … to a point. Certainly her parents and peers deserve some blame but what I want to examine today is the culpability of those of us who drive the story, who click the links, who watch the show, who direct the flow of money. Many people made money from Lohan’s appearance on the Letterman show. Certainly the network directly through advertisement. Letterman benefits when ratings are high and his earning potential rises. People who enjoy watching other people destroy their lives benefit because they watch a high-profile actor lurch from one disaster to the next. Lohan herself gains some benefit from the publicity that continues to generate acting opportunities for her; although there are certainly many negative results to her behavior as well. I want to examine that last point in greater detail. When a person smokes a cigarette, has a few drinks, procrastinates writing their fifth book, or otherwise behaves in a way that is not immediately detrimental but in the long-term effects the success in their life they have made a decision. Smoking a cigarette will not kill anyone. Taking another six months to write my book will not change my career path all that much. Eating a piece of cake, not asking that saucy girl out, saying something grumpy at work rather than smiling and being cheerful; these are all decisions. Our lives are nothing if not a series of decisions. These decisions add up to determine the course of our life. Lohan has been making bad decisions for a long time now and each one contributes to the condition she finds herself in now. I don’t want to devolve into a debate about determinism and I certainly attribute a large part of the blame to Lohan herself. However, is some of what is happening to Lohan my fault? I cannot deny that I feel some sort of superiority as I watch a talented young woman waste her potential. I would never destroy myself that way, I’m better than her. I’ve searched her image and watched her morph from a stunning beauty to something far less and felt a strange satisfaction with myself. I’ve read reviews of her latest projects and newest revelations of self-destructive behavior and it made me feel better about myself for some reason, probably because I’m not nearly as a good a person as I think I am. Is it in our nature to watch train wrecks? Do we as a species yearn for such things? Is Lohan’s behavior some sort of self-induced Truman Show? Is her real life just a big movie made for me? I can’t help thinking that our species will be mired in this sort of behavior until we can only want the best for ourselves and for everyone else. When I want every actor to give their best performance every time. When I want every athlete to play their best even if they are playing for an opposing team. Is this sort of thinking even remotely possible? What sort of world would we live in if we only wanted people to do their best? Would Lindsay Lohan have a much different, better life in that world? What limits would be erased if we all rooted for and helped each other even while competing? I’ll do my best, you do your best, someone wins, but in the long run, we all win. Gun Control is big news in the United States these days and much of the focus seems to be on particular gun types, background checks, high-capacity magazines, arming teachers, waiting periods, and a few other things. I think the main issue is one of mental health. The Second Amendment of the United States Constitution is unfortunately not completely clear and modern weapons with destructive potential far beyond anything the Founding Fathers could imagine muddies the issue further. The Amendment mentions a well-regulated militia as the precursor to the idea that the right to own arms shall not be infringed. In a time when the country had no standing army this militia was envisioned as a potential army available to call up to defend the nation. However, the following wording indicates quite clearly that the people of this country have the right to bear arms and the government has no ability to limit that right. I think there are a few people who probably think this right is absolute but most people agree that shoulder-fired anti-aircraft missiles and hood-mounted .50 calibre machine guns are probably not in the best interest of safety. If you drive any amount of time in a given day you’d probably agree. The rage out there is palpable. Likewise I think there are few people who think a citizen owning a firearm for uses such as hunting, personal protection, or sport shooting should be restricted. There are people on both fringes of the argument of course, but most people are in the middle. This is where I have my problem with the measures being proposed. They are essentially useless. They don’t address the real problem. Cheap guns in the hands of criminals cannot be stopped by legislation and most of the gun murders we see in this country involve those sorts of weapons, generally associated with the illegal drug business (don’t get me started on the War on Drugs). Most murders and gun crimes are not committed with assault rifle type weapons. High-capacity magazines can now be printed and the vast number of them out there make any sort of legislation designed to ban them all but useless. The definition of a gun type will just encourage manufacturers to make guns that don’t fit the restriction and get around any bans. Anyway, I’ll cut to the point here. The problem is mental health. The people who use firearms to attack movie theaters, schools, and crowds are insane. The idea is to identify and help crazy people, people who suffered abuse, people with mental illnesses. If we recognize that insane people are the greatest threat then we should eagerly put forward the effort to help them before they start murdering. If we can identify and prevent crazy people from driving cars into crowds, buying bomb-making product, and purchasing lots of weapons and many rounds of ammunition then we’ll have gone a long way to solving this problem. Sure, there will still be gun accidents and gun crimes, I’m not pretending the world isn’t a dangerous place. I’m just suggesting that we spend more money and more time on the mental health issues that are the underlying cause of these sorts of attacks. Crazy is uncomfortable, crazy is something we don’t like to see, look at, or talk about but it’s real. In almost every one of these cases someone knew the person was unstable and sometimes even tried to warn people. If everyone was mentally stable, rational, and an objectivist thinker; I think most of the troubling issues that we face in this world would vanish. Mentally unstable people can be treated with increasing success using modern drugs and therapy. It frustrates me when I see so much effort, argument, rage, and dissension going on over solutions that don’t address the underlying problem. I don’t think spotting and helping insane people is an easy thing to do but I think we’re not trying nearly hard enough. I’m not even really arguing for registration of crazy people and background checks, just let’s spend some public money to make sure insane people get treated. It’s one of the beneficial uses of tax dollars as far as I’m concerned. Let’s empower mental health professionals to alert the authorities. Let’s train the authorities to listen to mental health professionals. It’s not an easy road, I’m not one to live in a pretend world. I do think we can do more if we focus our energy on underlying causes and stop screaming at each other. Officials Cheat – The question is How Much? A major story in sporting news involves the basketball coordinator of officials in the Pac 12 conference offering a reward to his referees if they called a technical foul or ejected the coach of a particular team in the conference tournament. The league has done an investigation and declared the statement was made in jest and that there is nothing more to it; this despite the fact that during a crucial game the coach in question was given a controversial technical foul. I want to get something out of the way up front. Officials cheat. They do it at every level of the sport. They are people just like the rest of us and there are always going to be some unethical members in every profession. To pretend there are not any cheaters is ridiculous. I’ve seen it in every sport I’ve played beginning with a called third strike on a pitch that was literally over my head when I was eleven years old. The umpire didn’t like me because I looked back after a bad call on the pitch before. He sure showed me. When the referee kicked me out of the pool after my opponent elbowed me to the face he was cheating at the behest of the opposing team’s coach who was his friend. That’s a fact. Our team’s best player, Jimmy Croyle, kicked out for the game, three kick outs means out for the game, in the first period. Right. No cheating there. When the St. Louis football Cardinals got the short end of call after call against America’s Team the Dallas Cowboys in the 70’s and early 80’s that was cheating. When NASCAR rigs races so Dale Earnhardt Jr. wins that’s cheating. When the NFL wants the New England Patriots to win the 2001 Super Bowl it somehow happens. Just to show I’m not totally biased, when the St. Louis Cardinals baseball team gets the benefit of bad call after bad call in their favor, that’s cheating too. The referees know who the league would prefer to win a game. The vast majority of referees call the game to the best of their ability without bias, but they know who the cheaters are. They work with them every day. Sure good officials make mistakes from time to time but I’m not talking about that. I’m talking about referees who use their power to slightly influence the game towards a result they desire. It happens all the time. Now we’ve got league officials openly encouraging them to do it? That’s serious. The human element you say? You can shove the human element where the sun doesn’t shine. My chance for a state championship was stolen by a cheating referee and I’d be willing to bet everyone who’s played in any sort of competitive sport has a similar story. To the refs who cheat, maybe your son will come up to you one day and ask, “Why would he cheat, dad? Why would he do that?” You’ll know the answer, won’t you? I hate cheaters and when they are the officials I get hot. There is only one solution. We can fire a person here and there but the ability to cheat by simply “missing” a narrow judgement call will always be too tempting to resist. Only when we make emotionless machines the final arbiter will we get fair results. It’s not easy to do but there are some sports where it is possible, tennis with the lines and baseball with balls and strikes to name a couple of examples. Tracking devices in the balls to determine exactly when they go out of bounds, into the goal, etc. This is possible. The sooner the better. For all the great officials out there, who do a difficult job to the very best of their ability, I salute you. The world needs people with that sort of integrity. To the cheaters, to those who encourage them to cheat? To you I can only shake my head and despair for the lives you’ve hurt. Anyone ever cheated by a referee? Tell me in the comments.